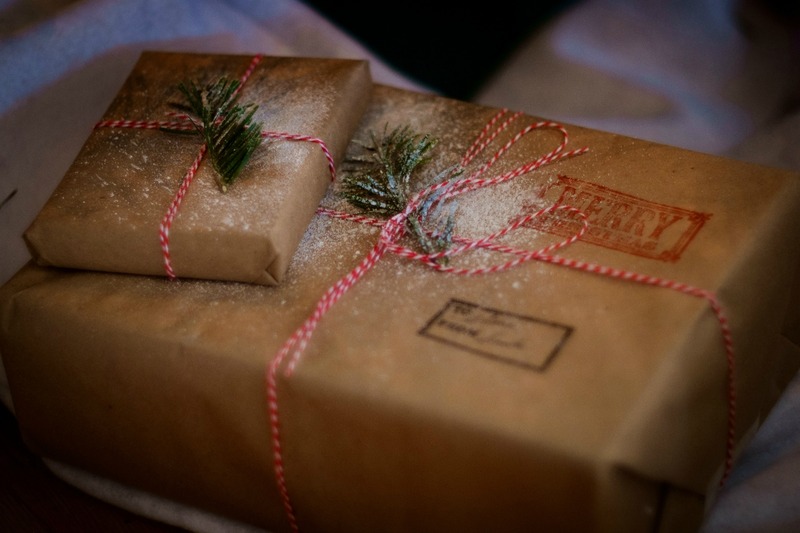 Ever get stuck trying to find that perfect gift? Something you’re sure will not be thrown in a closet or drawer – or hauled off to Good Will when you’re not looking? If you’re like me and want to give something special that could add a bit of light to another’s life, here’s a list of some of the special things I love to give… and receive! Without belaboring the science, the “Pearls”, as they’re known by all who use them, contain an ingredient, Ethocyn, (discovered and patented by biochemist, Chantel Burnison) which has been referred to as the “Youth Protein”. Here’s why. In the normal course of aging, we lose most of the elastin in our skin by the time we reach our 30’s (elastin levels diminish from a high of 17% to about 3%). 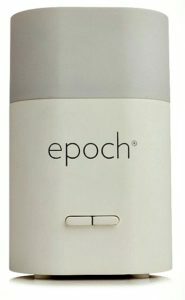 Ethocyn halts this process, allowing the elastin to rebuild to the levels of youthful skin. Clinical studies show an average of 166 percent increase in elastin content after three months of use. A double-blind study also suggests that men are likely to see greater benefits even sooner than women. The best part: it’s guaranteed to deliver a noticeable difference within 3 months or your money back. 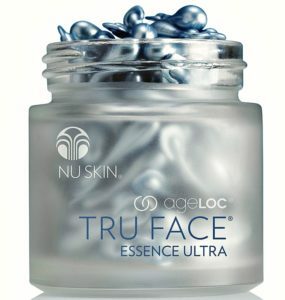 TFEU is one of my all-time favorite skincare secrets. A part of my daily regimen for the last 9 years. If you’re looking for natural … organic … pure … wild … and as close to nature as you can possibly get, free of chemicals, colors and fragrances, this is it. Annmarie Gianni has created an entire line of “wild” skincare products. This one is a favorite. The mind-calming, orange-blossom aroma of the Neroli oil will have you wanting to bathe in the stuff. 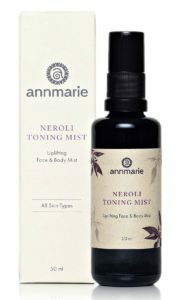 Mist face and body to hydrate and soften, and improve the absorption of all serums and oils. Be sure to check out her full catalog. 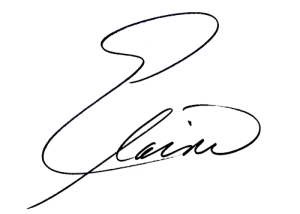 Dr. Cowen, (M.D. 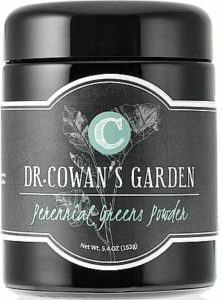 nutritionist, herbalist, scientist, author, homeopath …) has created a collection of rare perennial vegetable powders, dehydrated and packaged in deep violet miron jars to preserve the integrity of the powders. This is a beautiful way to get your daily dose of nutrient-dense whole food vegetables without popping pills. About two teaspoons a day is all you need. I sprinkle on salads and veggies; and add to salad dressings, green drinks, smoothies and dips. This is for every woman interested in bones, joints, belly, skin, nails, and, of course, hair. 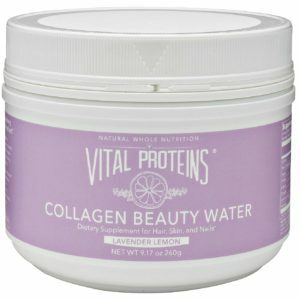 It is a subtle blend of collagen, hyaluronic acid, probiotics, organic lemon, organic lavender, organic blueberry, and organic beet. Preventative first aid for your entire body. 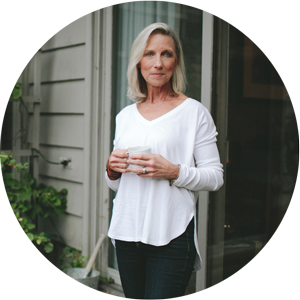 There are no sugars, fillers or additives. Mix it into smoothies, teas and any of your favorite drinks or just sip it as is. Sometimes we need help unwinding and nature is our antidote. Essential oils are the concentrated essence of plants, flowers, herbs, fruits – all of nature’s bounty. No perfumes. No fillers. No additives. This one is a pure blend of lavender, bergamot – both known for their calming and anti-depressive effects. Place a drop on the palm of your hand and breathe it in to calm the mind and relax the body, or diffuse it in the air with an “Epoch Diffuser”. About 75% of all households in this country have air fresheners, which, according to the National Resources Defense Council, often contain chemicals and other interesting ingredients that humans shouldn’t breathe in. This little diffuser is your therapeutic tool, emitting natural essential oils and all their therapeutic benefits into the air. Oils like Frankincense, Tea Tree or Thieves are natural antibacterials and antimicrobials and can help wipe out bacteria in the home. For your foodie friends, A gift certificate for THRIVE is an easy choice. Thrive is an on-line wholesale market with prices that can’t be beat. It is where I shop for those difficult to find, healthy, odd-ball foods like: ghee, sprouted nuts (much better for you than the normal kind), protein bars, great healthy snacks, etc. 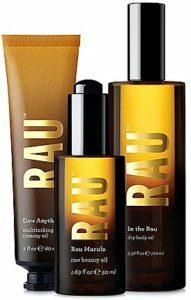 Rau Marula is sourced from South Africa where low rainfall and endless hours of bright sun provide the perfect growing conditions for this nourishing, antioxidant-rich oil. It is Unrefined, sustainably harvested, and cold-pressed to retain its protective and nourishing properties. It is a skin hydrator and natural antimicrobial which can help with blemishes and acne. It’s sweet and nutty in scent and leaves your skin soft and dewy. Perfect as an everyday moisturizer, yet powerful enough for a deeply nourishing facial treatment. A simple everyday ritual, which, in the time it takes to drink a glass of water, detoxifies the body and delivers the natural minerals that the body needs. 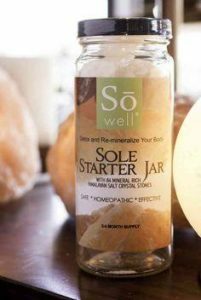 Sole is salt – natural pink Himalayan salt, and the source of 84 natural minerals. Simply add filtered water to the jar of crystals and take a teaspoon in a glass of water each day before food. 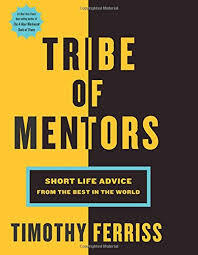 If you have not met Timothy Ferriss, you might want to google this guy. He is brilliant, funny, sometimes totally outrageous, authentic, humble and out to change lives – and he does just that with his books and podcasts. He has more life hacks from the best of the best and he shares it all. Check him out. I’ve read all his books. Here are his latest. And, for those fledgling chefs out there, you MUST get his book: The Four-Hour Chef. It is an absolute hoot, full of valuable tips for non-cooks and cooks alike and – I promise – it is not your run-of-the-mill cook book. This one you will want to read from cover to cover! If you missed my last blog post, go here. It will explain why everyone in the country should have this book. 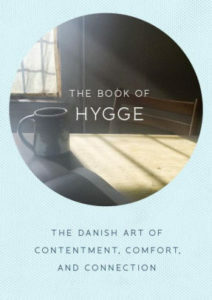 We all need HYGGE time! 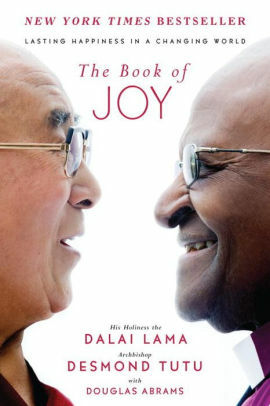 A gem of a book with conversations by His Holiness the Dalai Lama and Archbishop Desmond Tutu. If this doesn’t bring a smile to your face, nothing will. A gift you can give to children in need. “Nourish the Children” is Nu Skin’s solution to providing a consistent supply of nourishing food to the world’s most needy children. It enables Nu Skin and its community to contribute to a critical humanitarian need on an ongoing basis. 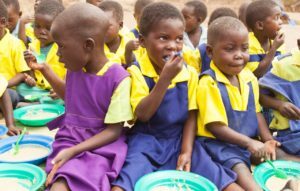 Nourish the Children has provided a framework to maintain a consistent level of food on a sustainable basis since 2002. Your $27 purchase of 1 bag of Vitameal, holds 30 child-sized meals—enough to provide one nourishing meal a day to a child for a month. Vitameal contains all the essential vitamins, minerals, and a balance of carbohydrates, protein, fat and fiber to meet the nutritional needs of a child. You can make a one-time purchase or schedule a monthly order.